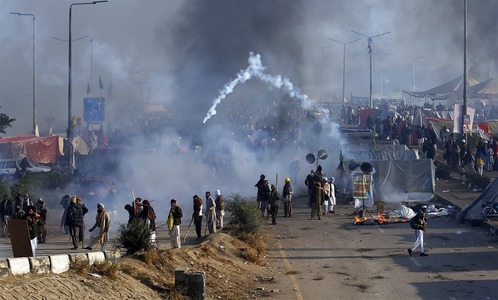 The Islamabad High Court on Monday lashed out at the government as well as the army for the role assigned to the military "as the mediator" in the agreement to end the sit-in at Islamabad's Faizabad Interchange. The army chief instead of following the orders of the chief executive became a mediator, pointed out Justice Shaukat Aziz Siddiqui as a hearing into the Faizabad protest was underway at the high court on Monday. "Who is the army to adopt a mediator's role?" inquired the judge. "Where does the law assign this role to a major general?" After the weeks-long protest that virtually paralysed the capital, the government and protesters reached an agreement late Sunday night, in which the former conceded to the latter's demands. 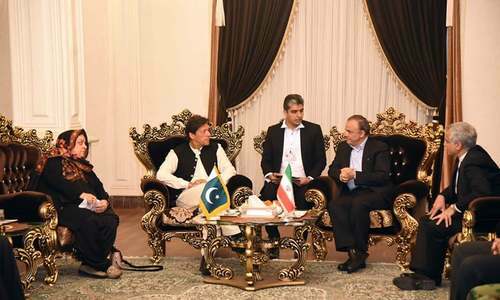 The document of the agreement — submitted before the court — bears the signatures of Interior Minister Ahsan Iqbal, Interior Secretary Arshad Mirza, Tehreek Labaik Ya Rasool Allah (TLY) leader Khadim Hussain Rizvi, two other protest leaders and Maj Gen Faiz Hameed, who facilitated the agreement. "We are thankful to him [Gen Bajwa] for saving the nation from a big catastrophe," the agreement document concludes, crediting the army chief and his representative team for their "special efforts". In its written order, the court notes a "number of serious objections on the terms of agreement". "Most alarming is that Maj Gen Faiz Hameed put signature as [the] one through whom [the] agreement was arrived at," the order says. 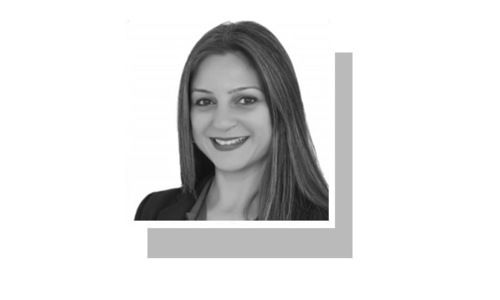 "It is also very strange that the efforts of Gen Qamar Jawed Bajwa, Chief of Army Staff, have been acknowledged in the words: this entire agreement was reached through the efforts of the army chief and his representative team." The order notes that the role assumed by the army chief is "besides the Constitution and the law of the land". "Armed Forces being part of executive of the country cannot travel beyond its mandate bestowed upon it by the organic law of the country." On the matter of the abusive language used by the protesters against the judiciary, the order says that "the Federal government and the arbitrator did not bother to persuade the leadership of TLY to even tender an apology in this regard." "This court has serious reservations on the terms of the agreement and mannerism in which it arrived; however, the federal government has to satisfy the court about the constitutional role of Armed forces and an acknowledgement by the federal government/Executive of the country regarding role of armed forces as an arbitrator," the order reads, calling for the attorney general to assist the court on this point. The court has also directed the chief commissioner to submit a report regarding the Islamabad operation and "reasons for its failure". 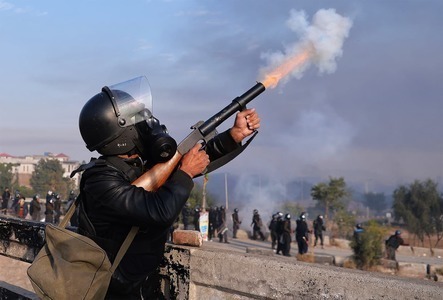 Further, Joint Director General of the Intelligence Bureau Anwar Ali has also been asked to submit a report detailing how the protesters gained acces to guns, tear gas shells and masks. 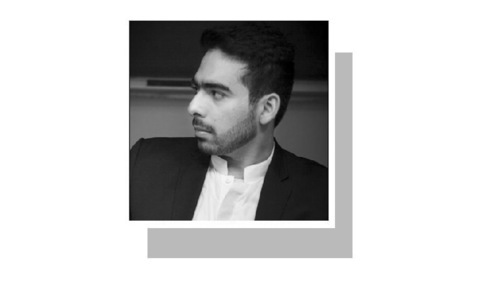 "He shall also submit a report showing reasons of failure of operation and aid provided to protesters, when ICT Police almost cleared Faizabad Interchange." "It is made clear that [the] question raised by this court shall not be used as an excuse to dislodge/disburse the protesters of sit-in as order to clear Faizabad Interchange is still in field." The order adds that if the protesters continue their sit-in, the government and the administration are "required to persuade them to shift to the sit-in at Parade Ground." 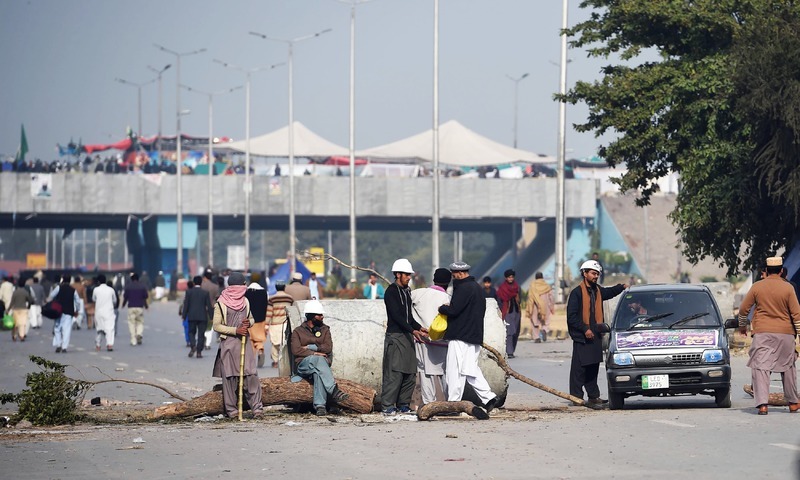 Security forces had launched an operation against protesters camped out at the Faizabad Interchange on Saturday after the high court had ordered the clearance of the bridge that connects the federal capital with Rawalpindi. The same day, Chief of Army Staff Gen Qamar Javed Bajwa had advised Prime Minister Shahid Khaqan Abbasi to "handle the Islamabad dharna peacefully". The day-long operation had culminated with the government seeking the military's assistance to disperse the participants who had put up fierce resistance to the security personnel's action. However, the army had said in its response to the government's call for assistance that while it was "fully ready" to take action, a "few points need deliberation". Subsequently, no troops were deployed in the city. During the hearing, Justice Siddiqui said soldiers who are inclined towards politics should turn in their weapons, asking if the protests would have continued as they did if the army's headquarters had been located near the Faizabad Interchange. 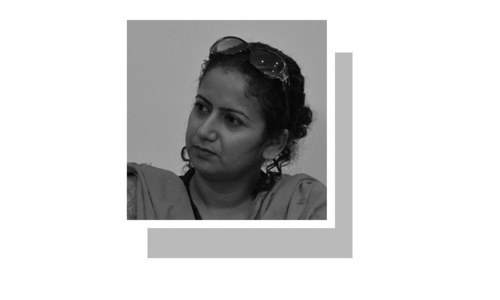 "Where is their Radd-ul-Fasaad now? Did they not see any Fasaad (anarchy) in this protest?" Justice Siddiqui asked, referring to a military operation that was launched in February. The judge remarked that this was proof of the 'military's involvement'. 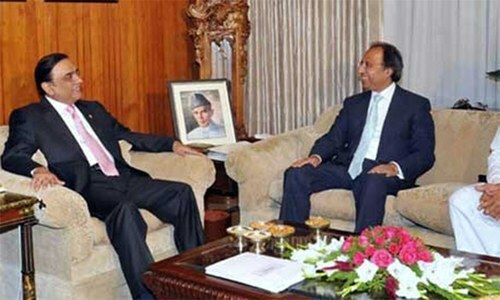 He told Interior Minister Ahsan Iqbal that the administration has the right to call in the army to control an emergency situation and that the military is bound to comply. The minister told the court that during the protests and the operation in Islamabad, the country's internal security was at risk. "Security officials were being attacked everyday. Motorways, railways and cities were being closed." "There was a conspiracy to show that a nuclear-state was failing. 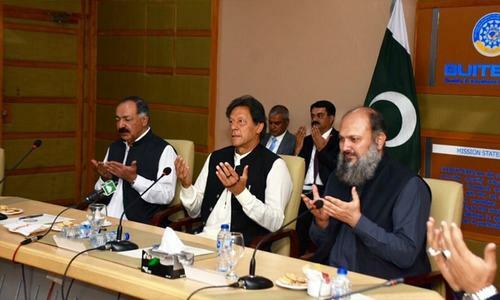 The agreement was reached with the protesters to bring the country out of those circumstances," said Iqbal, referring to the 'successful negotiations' with leaders of the demonstration late Sunday night. The judge asked why the agreement did not carry the signatures of the chief commissioner and the IG. "Iqbal sahab, you have embarrassed the police and the administration," Justice Siddiqui said. "You [the institutions] are destroying the state in your bid to make each other look bad." "What role did the Rangers fulfill?" he asked. "You are supporting the impression that the army is the cure for all illnesses." This is not just an issue of Khadim Hussain Rizvi, the judge said, referring to the religious leader spearheading the TLY sit-in. The IHC judge, while declaring his love for the Holy Prophet (PBUH), said that these remarks could cost him his life or add him to the list of missing persons'. The judge tasked Barrister Zafarullah with filing a report on the incident. "He will tell us in 10 days what happened, where and when," the judge said. Speaking on Law Minister Zahid Hamid's resignation ─ the main demand put forward by the protesters ─ the judge accused the government of using him as a scapegoat to protect PML-N leader Anusha Rehman, state minister for IT and Telecommunication. Rehman was also named in the Khatme-Naboowat controversy. "In order to protect one person, the minister is being sacrificed." The IHC is conducting hearings on two applications that were filed by residents about the disturbances caused by the protracted sit-in. "The petitioner has asked for a lot of things in the application," the judge observed, "This will only be made apparent when the project is over and the [protesters] have left." "Where did the protesters get tear gas and gas masks from?" the judge asked, ordering the Intelligence Bureau to submit a report in this regard before the court. The hearing was adjourned until next Monday. Earlier, the high court had expressed its displeasure when the interior minister had failed to appear for the hearing. The minister had been ordered to appear before the court within 15 minutes before the hearing was adjourned for a break. 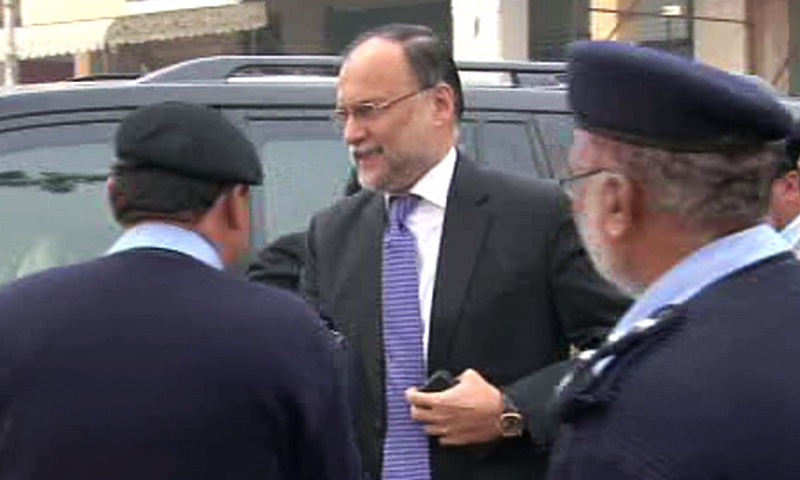 Ahsan Iqbal arrived at the court soon after. Inspector General Khalid Khattak, Chief Commissioner Zulfiqar Ahmed Bhutta and Deputy Commissioner Captain (retired) Mushtaq were present in court. The high court has also summoned Director General Intelligence Bureau Aftab Sultan and secretary commander of the Inter-Services Intelligence. 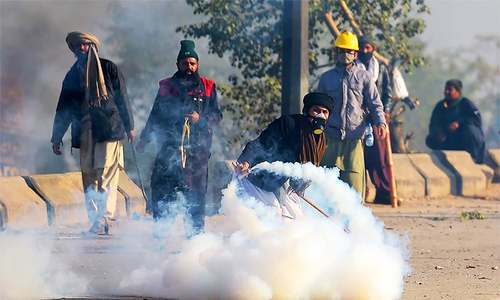 The Faizabad protests had paralysed life in the twin cities for three weeks before an operation of security forces was finally launched on Saturday in keeping with the court's orders. The operation had continued all day on Saturday. Tensions had remained high in the federal capital on Sunday when the Rangers were handed over charge of the operation. 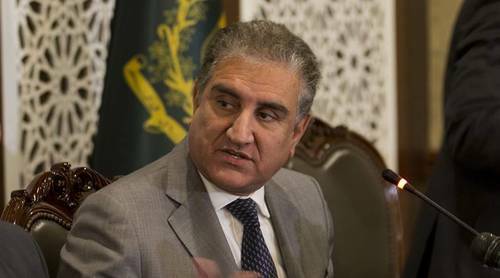 After negotiations late Sunday night, the government's gave in to the protesters' demand for the resignation of Law Minister Zahid Hamid, among other conditions. Subsequently, the TLY chief on Monday ordered his followers to end sit-ins across the country. Why didn’t Interior Minster followed the court orders to appear. Is he above the Law? Time has changed. Now Khadim Hussain Rizvi will decide when Ahsan Iqbal will go to the court. This is called judicial activism. Pakistani nation has exhausted itself into expending energies in frivolous matters such as this and suffers fools gladly. The trap was thrown in by the ruling party and the vulnerable got bought in easily. we never learn. All Good belongs to scared cows,all bad to civilian govt. It is written on the wall. Judicial audit is now more than due to determine the responsibility for governance failure in this disastrous handling of the crisis . Atleast defiant Ministers are being taught to obey Law. Wonder how many loss of lives and loss of revenue has taken place by his incompetence in handling the crises? Height of bad governance, lack of power of making proper decision, never expected from a person like Mr. Ahsan Iqbal or it was a deliberately done. This event should be noted down in the history of law that legal action and use of force is not solution to every problem. Some time it’s better to let political system drive and run it’s course. Results of the protest shows that Pakistan is still run by so called religious scholars with extreme views and thoughts. It is a shame that there is no rule of law. Court has left no doubt about who these protedtors belong to. Government is getting kicked around between court and military. Court issued cleanup order, military refused government order and forced it to concede. Royal mess. I pity the government. great, this judge has the courage to ask questions which no one dares asking. agreed with the judge's remarks.There should be rule of law and not the rule of gun. Hon. Justice, You have raised valid points and these should have been thought by the incompetent govt itself. However kudos to you for this!!! Ahsan's reply to IHC's questions was absolutely pathetic. Glad that we don’t have a trigger happy Gen, or we’d be Syria in two more days. Noon league hit their goal set to draw a line between boys and judiciary. wow .. .massive respect for this judge. .. he has spoken beautifully .. massive respect sir. Sounds Good to hear from the court. Sensing the actual "movers and shakers" of this Dharna 3rd episode. Supremacy of the law of dharna mediated by a military general. Wow.. what a brave man. I SALUTE THE HIGH COURT JUDGE FOR HIS BOLD AND COURAGEOUS REMARKS. The tone, reservation & Hearing by Justice Shauqut Aziz Siddiqui was very appropriate. A judge with guts ! Congratulations to government for succeeding to end this complex and difficult matter. Given the nature of protesting leaders and the level of their followers, it was not any easy task. I salute this judge, he is becoming the Nation's Voice. Political parties should learn something from honorable judge and come forward and ask amry to follow the constitution. Well choreographed drama which showed once again that civilians do not rule this country. signs of failed state ??? Bravo ! honorable judge. Stay safe. I hope other honorable judges learn a lesson from you and become impartial in their judgments saying goodbye to expediency. Hats off to the boldness and fairness with which THE JUDGE has judged all involved in the issue. Hats of to Justice Siddiqui. Let's hope we have more voices like him. I salute this Judge for his brave and correct observations. 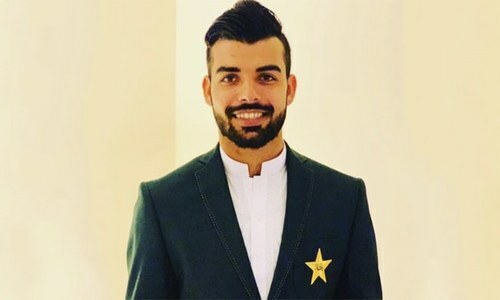 Pakistan needs more of these people to improve and gain respect in the world..
All the points made by the honoured judge are valid and truthful. I'm impressed by his boldness and bravery. @saeed : What mess ? The mess was created by protesters. 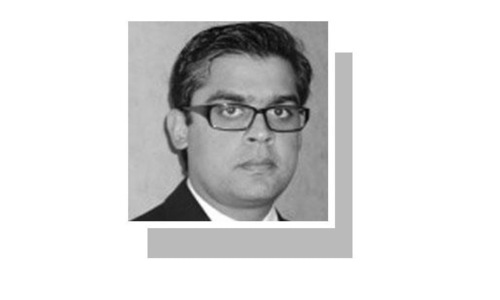 The court was right in ordering the government to clear Faizabad of these elements. The whole episode is turning into an interesting drama. @gulnaz micromanagement from the bench does not bode well for the country, never has in any country. People who are steadfast, do their jobs professionally and are not afraid of making brave decisions, this is what Justice Saddiqui did and said. Hats off to all brave and honest judges, who are doing their jobs diligently without any influence or political pressure! Hats off to the judge. My respect for Pakistan judiciary has gone up a few notches. @Arif Khan i doubt that. While thinking of this issue, one tends to get himself satisfied that a greater mess was avoided irrespective of the means adopted. Rest we all have the right to think of this ideal ways of handling it. Love to our Armed forces always and always. No one has given more lives away to protect our land from aggression. Thank you Gen Bajwa! We Pakistanis love our Armed Forces! Pakistan Armed Forces Zindabad! Pak Judiciary Zindabad! I see silver lining in all these. Effective popular movement, armed forces as mediators, judicatory checking validity. Democracy in action finally! Court / Senate and Parliament need to call in these Generals and have them explain theirs roll . Pakistan economy is hurting badly with these General illegal repeated interference . If all is reported in this article, the Judge asked many valid questions about the military involvement. The sit-ins have awoken the public and created awareness among them how to enforce their rights. Justice Siddiqui, I salute you sir. Only ray of hope. Let truth prevail. Be very much careful. It's sad when the military general decides to become the mediator instead of following government orders. Welcome back to the 7th century. Judiciary is becoming very active! It is an open secret and known all over the world as who is at the top and above constitution. I appreciate the wise decision of COAS in tackling the situation of DHARNA. When situations and operations in aid to civil power are handed over to Military, it is than Military to decide the modusaprandi, and not the civil power. I draw the attention of all intellectuals, that before making this issue further complicated and taking it to a point of no return, please go through the teachings and training imparted to a soldier for tackling such situations. We as a Nation should also learn lessons from our previous follies. Had we thought positively before 1971 the Country would have remained United. We should not be doing everything emotionally, instead we should use sense. The Military operations are under taken after thoroughly appreciating the situations. Analysing the courses, and the best is adopted. It is for the information of all those who do not know the tactics applied for Radd ul Fasad. The troops in the field adopt the course which ensures the success. In this perticullar case as well the mission has been achieved without further deteriorating internal law and order situation. The role of Armed Forces as an arbitrator seems suspicious when it having its Operation Raddul Fisad where it using force to crush socalled Terrorism instead calling warring factions to have dialogue for peace which is a must as disturbance is continued, a great loss of human lives. Pakistan should not follow US dictation, US should respect the aspirations of people of Pakistan and also Afghanistan. US should also have civilized way, should not use force to dictate Pakistan and Force people to accept unjust and unwanted role of US in Pakistan and Afghanistan. All disputes in region need to settle through dialogue for peace on basis of justice. The dialogue should have open, unconditional and Transparent. The role of High Court is laudable, a right approach to restore confidence of law abiding citizens. There need to eradicate corruption and double standards. 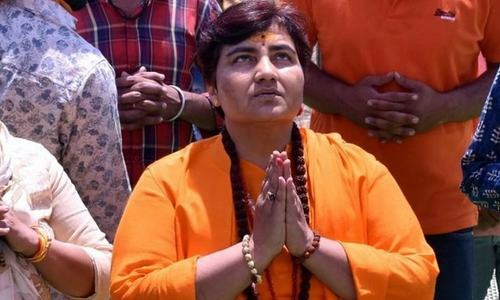 @Malik However, the real tragedy is this that in the coming elections these same faces will be elected very happily and generously by us. The grave and darkest reality is that people never realize their mistake and the root cause is the mind set of common people. So so good of the court !! !